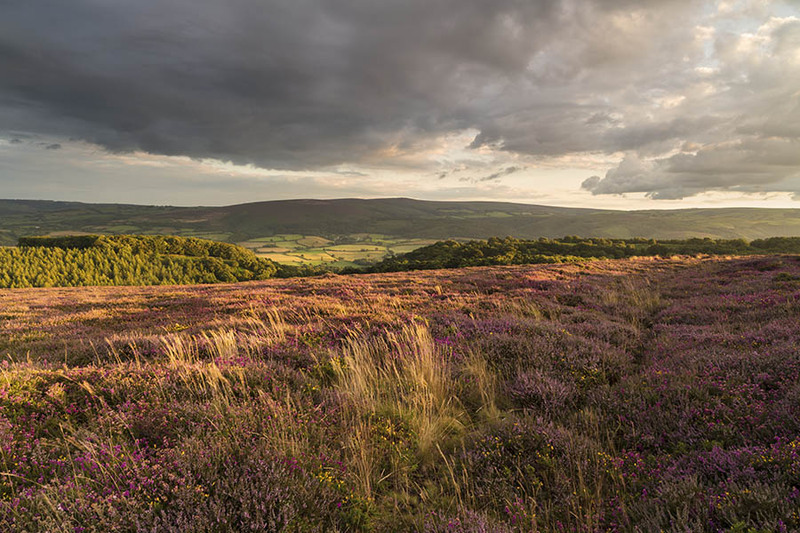 The last rays of light from a setting sun are cast over a carpet of beautiful Heather on Bossington Hill in Exmoor National Park, with Dukery Beacon rising over Luccombe Village. Exmoor National Park. Somerset. Location: Exmoor National Park. Somerset.